Icelandic violinist Gróa Margrét Valdimarsdóttir’s unique dedication to both new and old music has led her to regularly premiere and record new works alongside her traditional ensemble positions. A shortlist of recent projects includes premiering Gunnsteinn Ólafsson´s Icelandic opera Baldursbrá as concertmaster, recording Stephen Gryc´s solo Deep-diving loon on the Navona label, and several forays into the pop world, such as performances with Björk and Steve Hackett of Genesis. As a prolific chamber and orchestral musician, Gróa currently holds a violin position with the Iceland Symphony Orchestra and Brák Baroque Orchestra, has performed with ensembles including the Iceland Opera Orchestra, North Iceland Symphony Orchestra, Connecticut Virtuosi, and has served as concertmaster of The Hartford Independent Chamber Orchestra. Gróa has appeared as a soloist with several orchestras, including the Iceland Youth Orchestra, University of Illinois Symphony Orchestra, and the Foot in the Door ensemble—the last with which she premiered Benjamin Park’s violin concerto, Huldufólk. 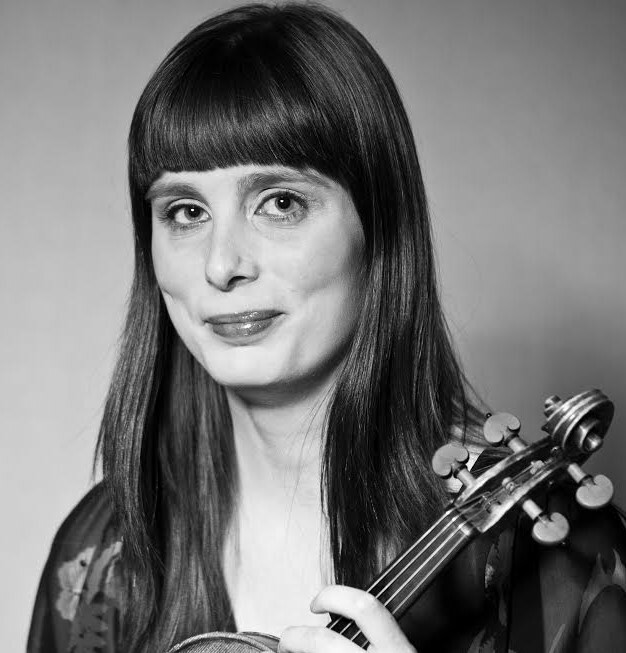 As a dedicated teacher and leader, Gróa sits on the board for The Icelandic Chamber Music Festival, holds violin faculty positions at Allegro Suzuki Music School and Akranes Music School, and is co-founder of the long-standing Iceland Youth Orchestra and the Loki String Quartet. Honors include the Young Artist of Kópavogur award, the Landsbanki award, and, during her graduate years, a prestigious 20/20 honors chamber position at the Hartt School. Her former teachers include Anton Miller, Sibbi Bernhardsson, Auður Hafsteinsdottir, Margrét Kristjánsdóttir, and Lin Wei, among others.